University administrators, deans of professional and associate schools and the major donors unveiled Yale’s first physical footprint in China Sunday evening. 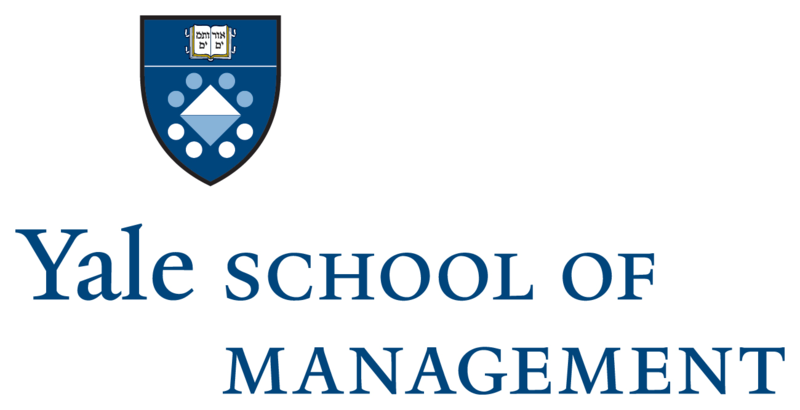 The Yale Center Beijing — run by Yale’s School of Management — aims to provide a space for Yale affiliates in Beijing to conduct research and hold conferences, all while promoting the University’s global reach. University President Peter Salovey said the new center fits with SOM’s mission to be the most international American business school. However, the center occupies just one floor of the 41-story International Finance Center. Despite the YCB’s primary affiliation with SOM, opening ceremonies for the center — which began last night and will continue through Tuesday — will include discussions on musical creativity, environmental concerns and global health and wellness. SOM Associate Dean David Bach said the YCB follows Yale’s long history of engagement in China. Bach noted the center will have state-of-the-art video technology so that faculty can deliver lectures and engage audiences from Yale’s main campus. However, Bach cautioned that it will be a challenge to attract a broad audience in China — including students, faculty and businessmen — for YCB events. SOM Dean Edward Snyder said Yale is addressing this challenge by appointing a board, led by the center’s first donor, Neil Shen SOM ’92, to spread the word about the center to local institutions in China. He added that Yale’s name-brand recognition will be helpful in gathering audiences for the center’s events. YCB Executive Director Carol Li Rafferty and YCB’s Director of Programs Dan Murphy said they have also been working to raise awareness about the new center. Rafferty said her job is most concerned with furthering existing relationships between Yale and Chinese communities, governments and businesses, while Murphy’s is to work on bringing programs based in New Haven to Beijing. Snyder added that the center’s location in Beijing’s business district is strategic, and he hopes it will facilitate the center’s goal of becoming a hub for the Global Network of Advanced Management, a group of 27 businesses schools worldwide, including SOM, that hold forums and conferences together. In addition to being a resource for current Yale students and faculty, YCB will also provide a platform for collaboration between American and Chinese thinkers, Vice President for Global and Strategic Initiatives Linda Lorimer said. “We want to reinforce that we look forward to true dialogue between scholars from Yale and in China, as well as those from [non-governmental organizations], business and government communities,” Lorimer said. Salovey said there are many ways through which current Yale students and faculty can access the center. Salovey said that any students who find themselves in Beijing, perhaps through semesters abroad or Light Fellowships, would be able to work or study at the center. Likewise, faculty are encouraged to teach programs at the center that might be attractive to business leaders in Asia. Salovey added that Yale affiliates would be free to use the center’s auditorium, meeting rooms or offices to run programs or convene for discussion. The center was funded by a $16 million gift from Shen, Brad Huang SOM ’90 and Bob Xu. SOM Senior Associate Dean for Development and Alumni Relations Joel Getz said that the center’s opening will hopefully spark interest for future fundraising efforts, adding that the center provides an opportunity for donors to give to Yale who might not have wanted to give to the New Haven campus. “I see this as a way of expanding the giving opportunities for Yale,” Getz said. Penny Liu SOM ’15 said she tried to expand the number of SOM students involved in the creation of the center through the Greater China Club, a group for SOM students of Chinese backgrounds. Liu added that students outside of the Greater China Club have also expressed interest in the center’s inaugural festivities. However, Mo Chen SOM ’16 said he was unaware of many opportunities for students to get involved with the center. Fiona Zhu SOM ’15, who is the co-head of the Greater China Club with Liu, said that the YCB complements her work at SOM because it is impossible to study international economies without considering China’s place as a world power. Zhu added that students working at the center can act as a bridge between American and Chinese cultures and help strengthen Yale’s ties in Beijing. Bach said multiple events have already been scheduled at the center for the near future. The first program, he said, will be hosted by the School of Public Health and will compare Chinese and American drug regulation systems.